Frozen‘s finale sees Anna save her sister from the villainous Hans through an ‘act of true love’ that in-turn also cures the frozen heart Elsa accidentally cursed her with. Hans Christian Andersen’s original fairy tale ‘The Snow Queen’ ends in a very similar way, with young Gerda riding on the back of a reindeer (presumably named Sven) to save her friend Kai, who is trapped on a frozen lake by the Snow Queen and only Gerda’s kiss can melt his heart and free him. Frozen fantastically upset the fairy-tale cliché by having the act of ‘true love’ come from a sister rather than a Prince Charming. Since this is a good, old-fashioned fairy-tale, all of this obviously comes at the end of a long series of vaguely upsetting kidnappings and brain-washings that Frozen‘s creators clearly chose to save young audiences from. But what if the real Snow Queen makes an appearance in Frozen 2? The original ‘Snow Queen’ fairy-tale centres around one important event. An evil troll (not the lovable family members of ‘fixer-upper’ Kristoff but an actually evil troll) holds a mirror that reflects the world as ugly and horrible. He tries to use the mirror to attack heaven, but in the process he drops it to Earth, where it shatters it in to a million pieces that lodge in the hearts and eyes of the humans, leaving their hearts frozen and their eyes seeing only the evil in everything. These are not the trolls of ‘The Snow Queen’. One of these shards ends up in landing in the eye of young Kai, Gerda’s childhood friend, who becomes aggressive and unrecognisable from the boy she grew up with. He is then kidnapped by the Snow Queen, who further transforms him with two kisses – one that numbs him to the cold, a second that makes him forget both his family and his friend (a third kiss would kill him). She sends him out on to the frozen lake where he must solve an elaborate ice puzzle if he is to return home. The frozen lake of ‘The Snow Queen’ is mysteriously known as the ‘Mirror of Reason’. Obviously the Snow Queen of this fairytale is a much darker character than the misunderstood Elsa of Frozen (for example, this Snow Queen commands swarms of snow bees against her enemies- yes, snow bees, you heard me). But what if a Frozen sequel saw Elsa stand against a truly evil Snow Queen; an example of the isolated enchantress she could have become if she hadn’t eventually opened up to her friends and ‘let them in’? 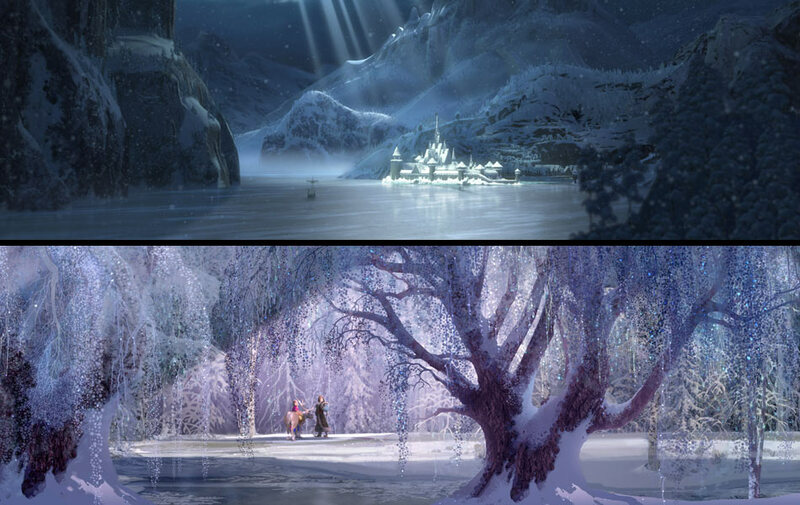 (The straight-forward villain she actually was in original versions of Frozen, as can be seen from this early scene). What if Elsa could see the Snow Queen she had the potential to become? In the process, a narrative like this could see Elsa acknowledge the power she wields, and in classic superhero fashion, realise that with her great powers come great responsibility. Beyond standing up against an evil version of herself she could discover the potential for evil in merely having these powers when others do not. After all, isn’t it fair for her subjects to fear her when they are ruled by a powerful young woman who they couldn’t dethrone if they wanted to? This entry was posted in The Disney Theories and tagged Disney, Frozen, Movies, Theories. Bookmark the permalink. 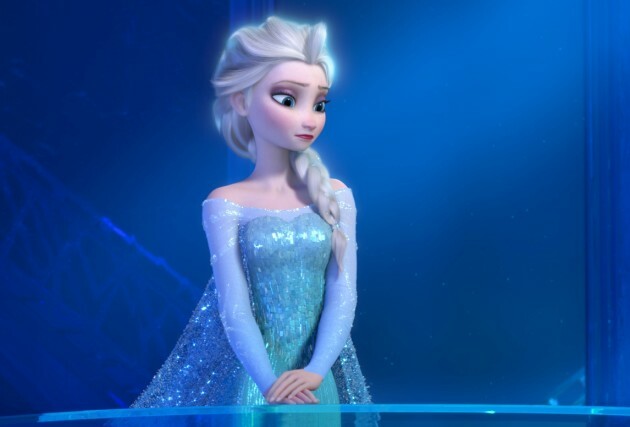 22 Responses to Could Frozen 2 be a much darker sequel? If you watch Once Upon A time in season 4 you see Elsa fight the snow queen aka Ingrid who happens to be her aunt. And that’s where the powers come from is her aunt. She got the gloves too. Rumpelstilkson gave them to Ingrid and when Ingrid accidentally killed her other sister elsas mom took the gloves and trapped Ingrid in a magical container where she couldn’t escape and then asked the magic trolls of they could erase all memory of her sisters and that’s why you don’t hear about them in the movie. I was thinking of Once Upon A Time and how it makes more sense the whole time I was reading this. Sorry, this is only slightly related… It appears to me that there is a manned lifeboat with rowers and oars visible on the left side of the screen after the rise and fall of the next wave right after the larger ship sinks with Anna and Elsa’s parents on it. I can’t find any information about it. Has anyone else noticed it? Has Disney mentioned anything about it? Maybe as part of the plot for Frozen 2. Please, let me know what you think. There actually is another theory. Elsa and Ana’s Parents escaped the shipwreck, (going to Flynn and Repunzel’s wedding, the shipwreck being one of the ships in The Little Mermaid, the ship Ariel is exploring at the beginning) and landed on an island. In this theory, the king and queen had another child, a baby boy, and attempted to raise him on said Island. The king and queen ultimately get killed by a Jaguar, and the baby boy is found and raised by gorillas, who named him “Tarzan”. Thus, interlocking the plots of Frozen, Tangled, The Little Mermaid, and Tarzan. I had an idea for a sequel where Elsa gets trapped in a mirror. That mirror shows her evil side and what would happen if she was released from her isolation thinking that everything was Ana’s fault. Not a bad idea but I never heard another sequel idea. I like this idea. But I have an idea why the snow queen is there, revenge. I Don’t know if it is well known but two of the servants are named Kai and Gerda. Kai is the most well known being the one who tells the Duke in the end that they will stop trading with “Weaseltown”. Gerda is one of the servants who meat Anna when Kristoff brings her back home, and the one Kai ice skates with at the end. now what if this Kai and Gerda are the same Kai and Gerda from the story and the Snow Queen has traced them down for revenge after all this years. They never told Elsa this sens she was afraid of her powers and finding out that the only other one known with her powers was evil wold not help. So what do you think abut that? Wasn’t that whole mirror issue in Once Upon a Time? And this whole sequel sounds like Once Upon a Time. I’m not saying that’s it’s going to be bad, it sounds like a good idea. I’m just saying the plot is very similar to the first half of season 4 of Once Upon a Time. LOL!!!!!! That is one of the wackiest theories I’ve ever heard!! What if Kristoff fell out of his dad’s sleigh and then Santa sent a reindeer to rescue him. There was a succession of many blizzards and they had to end up staying the winter. The reindeer gave birth to a baby Sven and then was hunted and caught by Oaken. (notice the reindeer trophy in his trading post?!!) Because the reindeer never returned, Santa assumed his son had died. Kristoff and Sven where on their own. They eventually tried joining some local ice harvesters, but where unsuccessful. On the night that Elsa struck Anna with her powers, he followed the ice trail and was adopted by trolls. There. I love this theory, mostly because it’s exactly what Once Upon A Time did with the Frozen story. Unfortunately, while they did give Anna a lot of character development, Elsa fell kind of flat. Especially compared to their maternal Aunt Ingrid, the original Snow Queen. So I doubt Frozen 2 would repeat Once’s storyline. I did hear rumors that Hans would be redeemed in the sequel and be Elsa’s love interest, which I find beyond hilarious. I think Horowitz and Kitsis already visited this idea on Once Upon a Time S4a. The Snow Queen is now Ingrid the aunt of Elsa, and the evil troll is, drumroll please, resident bigger bad Rumplestiltskin. I think the sequel would tackle the reason behind Anna’s extraordinary strength, and since OUaT happened to omit this, Anna get trained in Arendellean Royal Army. I was rather interested on trying what would be Frozen 2 like. Expectations lead to a fan-fiction sequel of Frozen 2. I would expect, that the sequel will be like, they would reveal who is the real Snow Queen, which is probably the one who cursed the line of Elsa’s blood, that’s why they have ice powers. The first King might have loved the Snow Queen before but maybe she was then hurt after the King was arranged to a marriage and also loved the girl. And in the Frozen 2, Anna and Kristoff will have a baby girl, and she too will have icy powers. They thought peace has already reigned but the trolls had a premonition that a ‘greater and evil’ force will cause a great cold and disaster, starting in the kingdom Arendelle to the other kingdoms, and all will be put to ICE. They might have thought that it is the new baby girl of Anna, so the prophecy was kept as a secret. Anna raised their child overprotectively and, until it turns out, the girl was spoiled and because a fun-witty brat, also she loved was fun playing with her icy powers: a reason she was always being scolded, and soon, she became a bit rebellious daughter when she was said to be the next Queen, since she doesn’t like responsibilities, but instead, she only wanted fun, which seems she turned this way because of Anna’s overprotectiveness. Anna also warns her not to use her icy powers too much since, it might be a ‘disaster’. Her child then was a bit hurt from what she said since she consider her ice powers as a gift and she thought it is beautiful. This causes a bitter relationship of Anna’s daughter to her. The only person she is close with is her aunt, Elsa, who always understands her, and always tries to calm her out. Then, by the time of her coronation, she will then have an arguement with her mother, Anna, causing her to unleash her power, and it was like it all repeated once more. Elsa accidentally also said something hurtful to her by the time she released her powers, which caused her to rage and become ‘evilized’, escaping away from the kingdom and soon, running away. She will soon be slowly corrupted by the Snow Queen. I heard that in Frozen 2, Anna and Kristoff will marry.